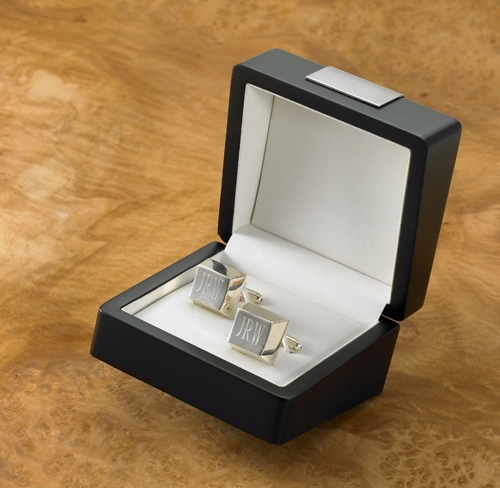 * Elegant and sophisticated, these silver-plated cufflinks add a sparkle to any man's formal wardrobe. 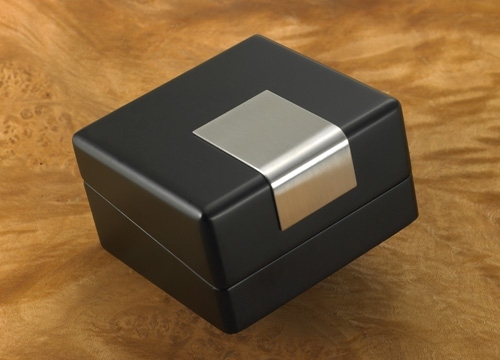 * Arriving in a handsome black box and personalized with the initials of the recipient, these square-shaped cuff links make a great gift for any number of special occasions, including weddings, retirements, birthdays, or as groomsmen gifts. 1" x 0.75" x 0.75"